Jane was new to triathlon in 2009 but became a World and European Champion in 2010 - she was recognised for this spectacular breakthrough by being voted British Triathlon’s female Paratriathlete of the Year for 2010. 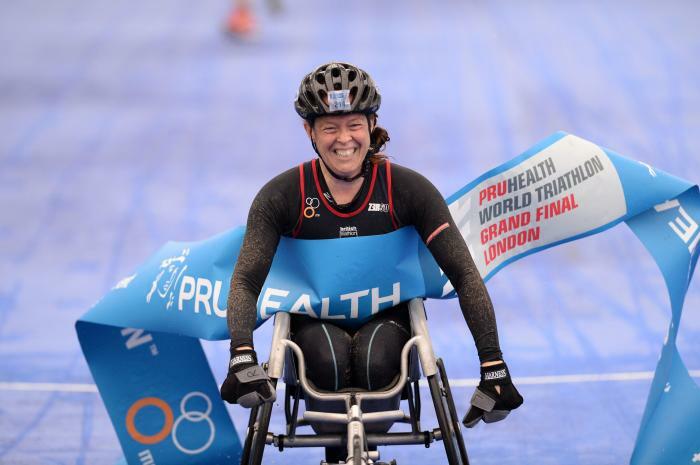 She was selected for the British squad unexpectedly when she went to be classified as a Tri1 Paratriathlete. She did her first triathlon in 2009 and 2010 has been her first full season. Jane has a rare neurological disorder affecting her central and peripheral nervous systems, which means she experiences pain and little muscle control. World Champion Jane Egan has rounded off an outstanding year in paratriathlon by winning the Disability Sport award at last night’s Sunday Mail and sportscotland Sports Awards.